In an ideal world, we’d all live and work in places that offered the perfect natural light for whatever we needed to do, when we needed to do it. However, we don’t all get to sit next to wall-sized picture windows, or have the luxury of only working in daylight. And let’s face it, the British weather usually leaves something to be desired. This is where daylight bulbs can help as they provide a similar level of lighting to natural daylight. 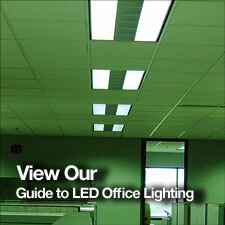 Different people need different things from their lighting, particularly in an office or study environment. Visually-based workers such as designers, architects, clothes makers and illustrators need lighting as close to natural light as possible, while anyone who deals with a lot of paperwork or fine print needs bright, clear lighting. Interestingly, in the retail sector, different types of lights are used in ways you may not expect – supermarkets use special fluorescent tubes in their meat counter fridges to bring out the red of the meat, and make it look extra tasty. Another important factor to bear in mind is that some people suffer from Seasonal Affective Disorder (SAD), and even those that don’t can be affected by a lack of natural light over a longer term. This doesn’t just apply during the long, gloomy winter months, but is also a factor in offices with no or little natural light. Luckily, all of these things can be addressed with full spectrum or daylight bulbs. Daylight bulbs or Full Spectrum what's the difference? There are actually differences between full spectrum and daylight bulbs, so it’s important to get the right sort to fit your needs, as not every bulb fills every role. The light given off by a bulb is described by two measurements, the first of which is colour temperature, measured in Kelvin (K) - also used for measuring the brightness of distant stars. The yellowy orange of a classic tungsten bulb would be in the 2700K (warm white) range, with the light becoming colder and whiter, up to around 6500K for a cold blue light. The second measurement is Colour Rendering Index (CRI), which measures a light source’s ability to render colours faithfully, and is shown as a percentage. Again, higher is better, with the best possible rendition at a CRI of around 96%. Well, bulbs and tubes basically fall into two categories – daylight and full spectrum (though the latter can occasionally be referred to as daylight as well). If price is a concern, and you just need the appearance of daylight – for brightening up a reception or communal area, for example, or for an airy-feeling office – a standard daylight bulb is fine. These tend to offer a colour temperature of 6000-6500K, and a CRI of about 80%. There are many different types of daylight bulb, from fluorescent tubes to spiral bulbs, LED Bulbs and even classic incandescent daylight bulbs. If, however, you need perfect colour rendition for design or other visual tasks, you’re lighting a windowless room, or SAD is a factor, then full spectrum tubes are the best option. Full spectrum lights offer a colour temperature of 6500K and a CRI of 96%, offering a light as close to natural daylight as it’s possible to get. If you are equipping a design studio, workshop or basement, full spectrum is simply the best way to go. What lighting have you got now? Finally, if you’re not sure what type of lighting you have in your existing room, there’s a quick and easy way to check. On the bulb or tube, you’ll find a 3-digit number, i.e. ‘835’. This is the first digit of the CRI, plus the first two digits of the colour temperature. So the bulb in this example has 80% colour rendition, and a temperature of 3500K, while a full spectrum bulb might read ‘965’. 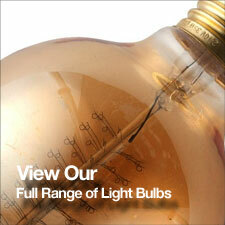 Why not take a look at our full range of Daylight Bulbs? Looking for more information / inspiration? 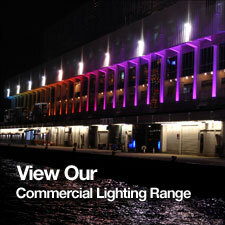 Check out our Lighting Advice section.